Forrester recently published a blog post called An Open Letter to Mark Zuckerberg that carelessly attempted to claim that Facebook advertising and marketing are ineffective, using a survey of 395 marketers and business executives as the proof. I was initially going to write a post that would pick apart the endless flaws found throughout that study. But after reading the comments attached to the post, I realized I wouldn’t be breaking ground here — most rational people know the report can’t be taken seriously. But what a post like that does is provide validation for the people who fail at Facebook. They use this as their excuse when things don’t go as planned. This allows them to put the blame on Facebook for their failures rather than accepting responsibility. Still, that post got me thinking. It raised many questions. 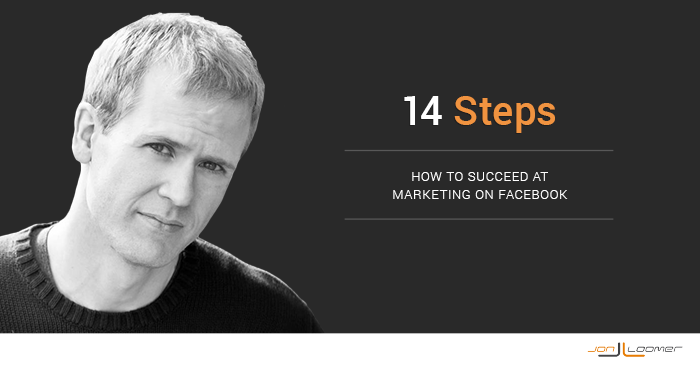 I wanted to know whether the 395 marketers and executives had ever used any of the countless tools and strategies common among those who succeed with Facebook. This should be obvious, but failure on Facebook can often be tracked back to this simple step. Are you providing value? Are you making the lives of people better when sharing content? Are you educating or entertaining? Would you want to see your content every day in your News Feed? If all you do is post content that tries to sell your stuff or act as your brand’s PR, you aren’t providing value. You are spamming. Now you need to provide that value on a consistent basis. Once or twice a week isn’t going to cut it. Post multiple times per day, spaced out by at least a few hours. Implement a content plan and use scheduling software (or Facebook’s built in scheduler) to make sure you have content flowing through on a regular basis. When Fans comment on your post, respond. When they ask you a question, give them a thoughtful reply. Create posts that involve your audience. Ask them what they think. Ask them to share their story. Ask them to provide their opinion. Don’t know what types of content your Fans want to see? Ask them! Far too often, the brands that fail on Facebook slip up here. They care about the “almighty Like” more than the people behind the action. As a result, they buy Likes. Or they run poorly targeted ads that bring in bots and people who don’t care about their brand. All because they are concerned first with cost and last with relevance. Craft content that appeals to your target audience. Run ads that are micro-targeted to reach those who matter most. Forget about ads that generate Likes at 10 cents a piece. You will spend more. But when your focus is on quality, these efforts will pay off. Sure, you have committed to finding your ideal audience and attracting them. But how do you go about it? You could guess by running ads that target precise interests that you think are associated with your target audience. Or you could be more scientific about it. First, let me explain how I generate my list of similar Pages and interests. Come up with two brands that you consider your competitors or would have a very similar audience to your own. Then run a series of Graph Searches. This is a great start for a Precise Interests list when targeting ads (I’d turn that list into a Saved Target Group). Next, you’ll want to take your email list and generate a Custom Audience. You could use your full email list or a list only of those who have bought from you. From that Custom Audience, have Facebook generate Lookalike Audiences optimized for both Reach and Similarity. When you’re done, you’ll have the building blocks for targeting relevant non-Fans. What determines the success or failure of your Page or advertising efforts? Are you focusing on the metrics that matter? Far too many marketers get bent out of shape obsessing over things like Reach and Page Likes. Neither of these two things, in and of themselves, mean a whole lot. And if they drive your strategy, you are bound to fail. How much valuable engagement does your content drive? How much traffic to your website? Do your ads result in conversions and sales? What is your cost per conversion? These are the types of things you need to be worried about. Don’t distract yourself with metrics like Reach, CPM, CPC and Click Through Rate. While there are over 1 Million advertisers on Facebook, I guarantee that a high percentage of these people are casual advertisers who have only hit the Boost Post button. It’s easy to do. But with simplicity goes a lack of control, and this way of advertising will likely lead to wasted ad spend. You are more sophisticated than this. You want to reach a specific audience in specific placements. One way to promote a post effectively is with Power Editor. You can, for example, target only Fans and reach them only in the News Feed. If you’re serious about Facebook advertising, you need to use Power Editor. This is how you get full control over your ads and get full access to all of the tools and features that come with Facebook advertising. While using the self-serve ad tool is certainly a step up from boosting a post, you can do better. Every time you run an ad that leads to some sort of conversion (purchase, registration or lead), you need to use Conversion Tracking. If you don’t use Conversion Tracking, you won’t know whether your campaign truly was a success or failure. You’ll guess regarding the number of conversions it brought. And you’ll focus on metrics that could be completely independent of a conversion (CPM, CPC, CTR, etc.). If your ad leads to a conversion, the only metrics you need to be aware of are Conversions and Cost Per Conversion. You want the lowest Cost Per Conversion as is possible. But if you don’t use Conversion Tracking, this isn’t an option. When you build your Fan base, do you run an ad that targets your email list to attract those who have already done business with you? When you launch a product, do you run an ad targeted at those who have bought from you before? You can do this with Custom Audiences. And if you don’t use this feature, you are ignoring a very important segment of your customer base! While your focus on Facebook shouldn’t be only to sell, your Fans are the people most likely to buy from you. If you spend more on ads that target non-Fans with product offers than Fans, you are likely throwing money away. Target non-Fans to bring in new Fans. Gain trust from them by consistently providing value. Then sell. It’s a simple Facebook sales funnel. And one that can lead to a very high ROI. When you share a link or run a link ad, does the thumbnail image take up the width of the News Feed, whether on desktop or mobile? Bigger images lead to more engagement. Those thumbnails are begging to be clicked on. 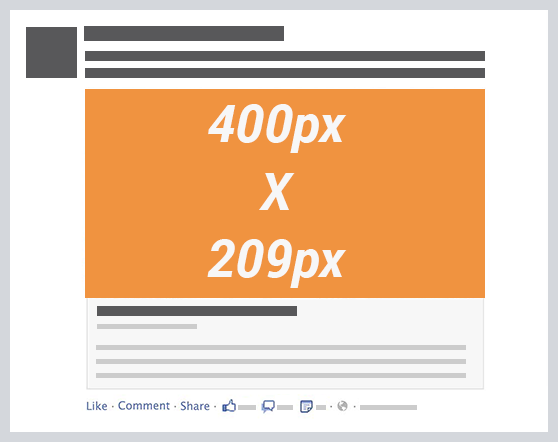 If your link share results in a tiny, square thumbnail image, don’t expect it to get clicked! You can’t report success or failure based on a single ad. There are far too many factors that lead to whether or not an ad works. Test different copy, images and targeting. 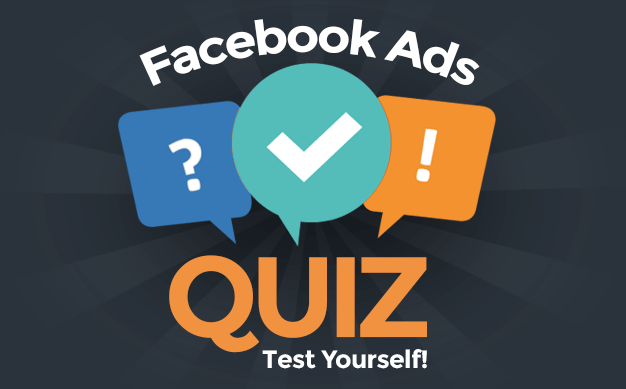 Test with different ad types, using Sponsored Stories or page posts. Test using link shares, videos or photos. Don’t trust small sample sizes. Find what doesn’t work and stop those ads. Find what does work and escalate! You may have an apparent failing ad that actually has success buried within the results. But you won’t know that without using Facebook’s ad reports. With this amazing tool, you can figure out the Cost Per Action based on age, gender, country and placement. Placement, in particular, can result in wildly varying costs. Use these reports to find what does and doesn’t work. Then optimize your ads! 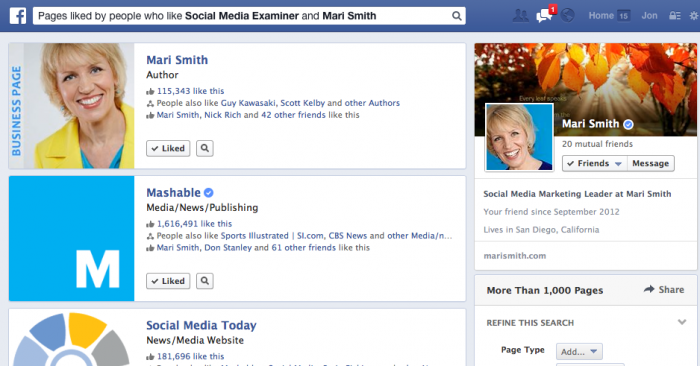 What other tools and strategies are common among those who succeed on Facebook? Let me know in the comments below!